Star Trek Alien Species has formed a partnership with Borderlands, a role playing site. Decide which species you want to play and click on the banner below. Since 1966, artists have been creating face make-up and hair styles for those lucky folks who get to be on Star Trek. The characters pictured on the following pages are really a tribute to those make-up artists, hair stylists, etc. who have the greatest imaginations. After all they work for Star Trek! Click on the "A" button above and get to the first pictures and descriptions of the aliens of Star Trek - listed alphabetically. Star Trek �, Star Trek: The Next Generation�, Star Trek: Deep Space Nine�, Star Trek: Voyager� And all associated marks and characters are registered trademarks of Paramount Pictures registered in the United States Patent and Trademark Office. All rights reserved. Reference to any and all "Star Trek" related material is strictly for the intent of discussion, and is protected by law, under the first amendment of the United States constitution. 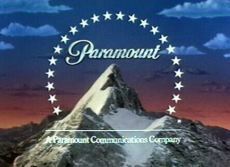 The use of anything related to "Star Trek" on this, or any other pages affiliated with this page are not meant to be an infringement on "Paramount" property rights to "Star Trek". This page is provided as a "Star Trek" fan website and is for promotional, non profit purposes to promote the ideals and fundamentals of "Star Trek"